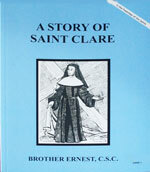 Home :: Books :: Children's Books :: A Story Of Saint Clare by Brother Ernest, C.S.C. 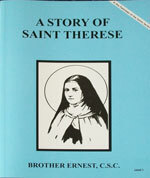 In 1194, Saint Clare was born into a wealthy family in Assisi, Italy. 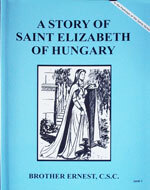 Her father wanted her to marry a wealthy man, but Clare believed that God did not want her to marry. After hearing St Francis preach she asked him for his advice. 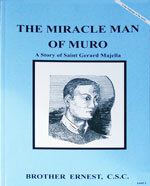 Through his help she realized God was calling her to a life of prayer and poverty. With St Francis' help they founded a cloistered Order for women, which is known as the Poor Clares.